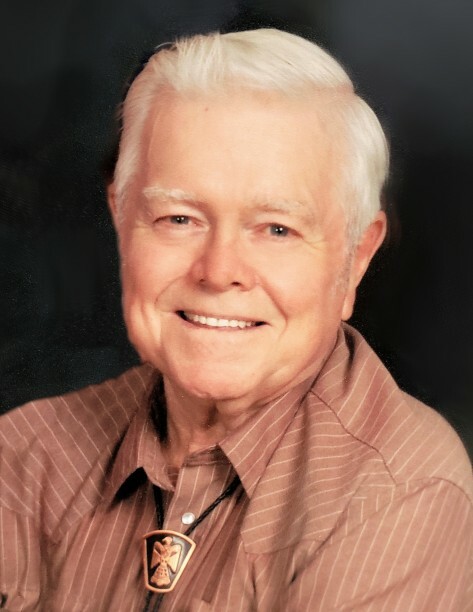 “Yogi” Gary Braet, 83 of Calamus died Monday evening, April 8, 2019 at Wheatland Manor. John Gary Braet was born January 19, 1936 in Wheatland, Iowa. The son of John L. Braet and Thelma Ruggeberg Braet. He graduated from Calamus High School in 1953. He briefly attended Coe College before returning home to farm. He later graduated from Superior Auctioneering School in Decatur, Illinois. In 1956, he married Betty Vogt. On June 29, 1974, he married Ruth Voss Kloostra. He acquired the nickname “Yogi” because he was a catcher in Jr. High while Yogi Berra was playing catcher for the New York Yankees. He continued playing baseball through high school. He also played in baseball leagues many years after high school. His love of baseball was life-long. He was an avid Chicago Cubs fan. He shared a love of baseball with all of his family, coaching all of his children’s youth league teams as they grew up. Yogi was a founding member of Faith Lutheran Church in Calamus. He served as Sunday School Superintendent while his children were young, served on the church council, and sang tenor in the church choir for nearly 70 years. Yogi was very musical. He sang in many weddings and funerals, played the banjo, accordion, trombone and whatever instrument caught his interest. He was happy to play a duet on the piano with one of his daughters or someone he loved. He sang tenor in the Messiah with the Koinonia Society for more than 60 years. He sang and danced in Village Voices performances. When he was a school bus driver while in High School, he maintained discipline on the bus by having the students sing with him. He enjoyed dancing at any opportunity. Yogi farmed with his Dad, wife and family all his life. He raised nationally recognized Shorthorn cattle and in the 1970s started raising Columbia Sheep. His shorthorn cattle were exhibited across the US and were recognized nationally having many farm production sales in the 1970s. He served as a director of the Columbia Sheep Breeder’s Association of America for more than a decade and served as the President of the association during that time. Livestock were more than a farm income stream for Yogi. He used them and the things it took to make a successful program as teaching and life lesson tools for his children. All of his kids were involved in either Shorthorn cattle or Columbia sheep. Some had the opportunity to show or be involved with both. In 2017, the Columbia association recognized Yogi with the prestigious Silver Bell award, recognizing his more than 40 years of involvement and dedication to the sheep industry. Yogi was also an auctioneer. He enjoyed the interaction with buyers and sellers and in the livestock world, was a favorite “ring man” bringing his signature joy and humor to the activity. He sold anything from farm auctions to championship livestock, to Lion’s pins to items for charity. Yogi was a charter member of the Calamus Lions. Many knew of is his quarter-century involvement with the Calamus Lion’s Farm Toy show. Collecting was a passion. In his younger day’s he collected memories involved with his seven children and their activities. As he aged, he began to be involved with collecting Lions friendship pins, toy tractors and antique tractors. He was recognized as a hall-of-fame member of the international Lion’s pins traders. He is a Melvin Jones fellow and recipient of several Lions Presidential awards and a progressive Warren Coleman, an Iowa award given by the Iowa Lions Foundation. Yogi and Ruth are the proud parents of seven children, grandparents of 20 grandchildren and seven great grandchildren. He is survived by his wife Ruth, children Dirk (Annette) Braet of Calamus, IA; Suzy (Gary) Wedeward of West Bend, WI; Dana (Laura) Braet of St. Louis, MO; Tina Braet Thomas of Cody, WY; Kathy (Mike) Evans of Cary, NC; Dave (Patty) Kloostra of Edwardsville, IL; and Dion (Kathryn) Braet of Earlham, IA, brother Ron (Jolene) Braet, of Beavercreek, OH and ex-wife Betty Braet of Cody, WY. His 20 grandchildren, Daniel (Sadie), Darin, David (Christina) Braet, Rebecca (Thomas) Barnes; Brianna, Raina and Augustin Wedeward, Anna and Drew Braet, Matthew and Andrew Thomas; Michal, Adam (Diane), and Karissa Evans; Riley, Emily and Aubree Kloostra; Dominic, Donovan and Dawson Braet. His 7 great grandchildren include Hannah, Davis, Dalton and Harper Braet, and Oliver, Amelia and Calvin Barnes. The family will receive relatives and friends at Faith Lutheran Church 2-6 p.m. Sunday, April 14, 2019. A service of Christian burial will be held at 10:30 a.m. on Monday April 15, 2019. The Reverend William Runaas will officiate. Burial will be at Rose Hill Cemetery in Calamus. In lieu of flowers and statuary, the family requests memorials to a favorite charity. Arrangements are in the care of Schultz Funeral Home.